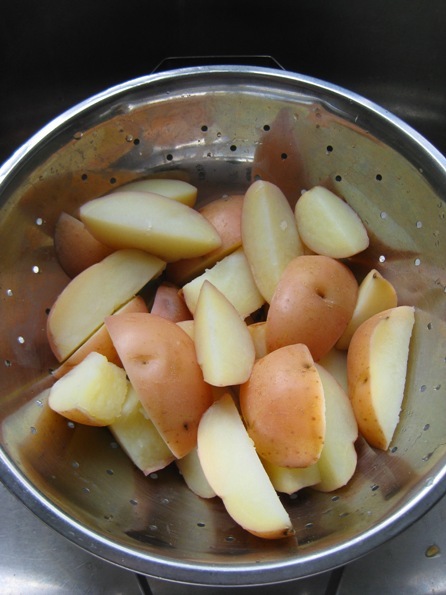 First steam or boil your unpeeled chunky-cut potatoes. I boiled mine in lightly salted water. These are Sebagos. Obviously you should choose whatever variety of spud is best for oven-roasting in your country, since there are countles varieties worldwide. 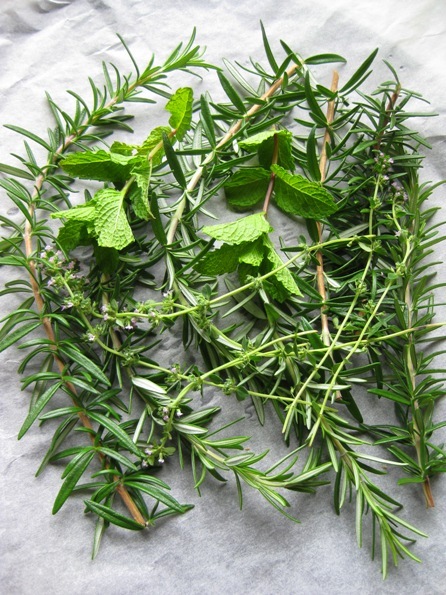 To impart a wonderful fragrance, I cut a generous handful of juicy twigs from my massive rosemary bush. Honestly, it’s the only time the poor plant sees any action. I strew in some fresh thyme, mint sprigs and half a lemon thinly sliced. The fragrant oils from these aromatics will permeate the potatoes as they roast. 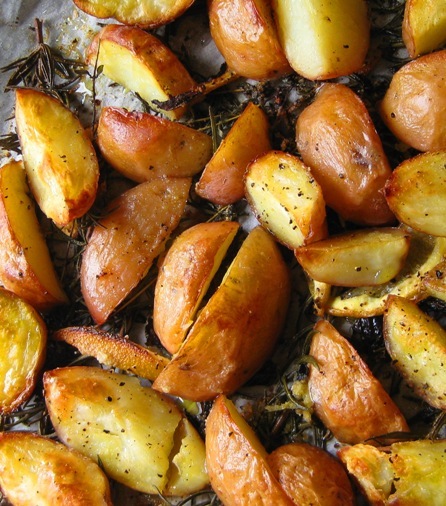 Placing them under the spuds will avoid them burning. 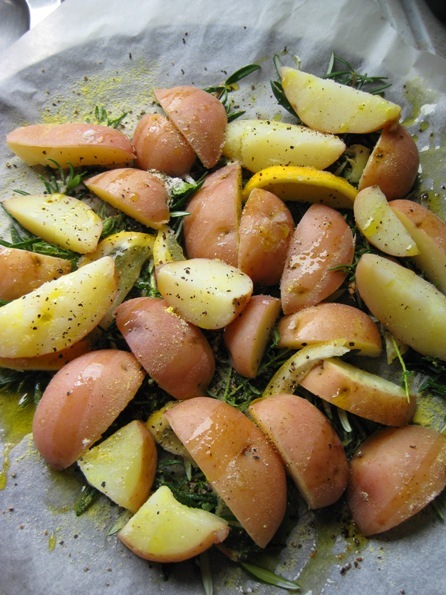 I placed the spuds atop their lemony herbal bed, a sprinkled them with Himalayan salt, cracked peppercorns, a ever-so gentle dusting of asafetida and a good gush of my best oilve oil. Into a preheated 200 degree C oven they go, and await their aromatic, crispy destiny. Crunchy, lemony, scented with thyme, rosemary and pepper, and (at least in Kurma’s Kitchen) the ever-present subtle presence of asafetida.